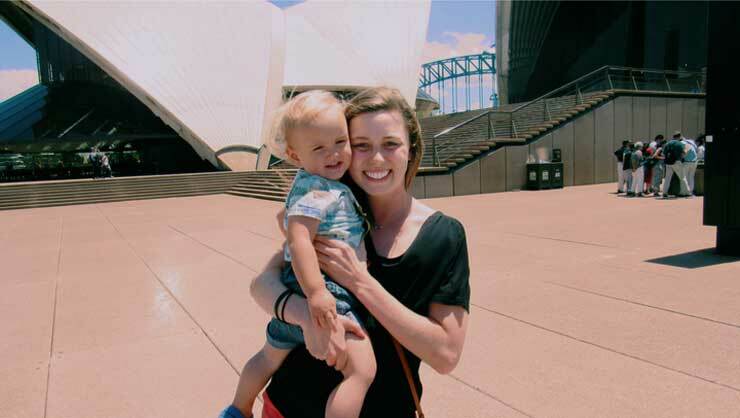 Due to its quick host family matching and visa application process, Australia tends to be one of the more straightforward countries for becoming an au pair. Here are five key considerations as you start preparing. There are a lot of Australian families looking for English-speaking au pairs for six-month programs, and sometimes longer. But where are they? You might have your heart set on living in the center of action in Sydney, or on a house at the beach, so it's good to know what's possible. InterExchange host families in Australia are often in the city or nearby suburbs of Adelaide, Brisbane, Melbourne, and Sydney but they could also be a little farther off in the outskirts (up to two hours). You'll have families to choose from but you will want to prioritize personal connection over location, so it's good to have some geographical flexibility. Host families can vary in size and location. Flexibility is key here. You will have the chance to chat with any prospective families before committing, so make sure you ask the right questions and make an informed decision. For example, if you feel uncomfortable taking care of more than three children, let us know and we will try to find the right family for you. Getting a visa makes your program official and allows you to stay in Australia for the duration of your au pair program. On the Au Pair Australia program, you'll be traveling on a Work and Holiday visa. The application is done entirely online. To be eligible for the visa, you must be a U.S. citizen between 18 and 30 years old. This visa allows you to stay and work in Australia for up to one year. That means, when you complete your six-month au pair placement you'll still have another six months to travel if you want, and even work. This would be more like a typical working holiday, where you'll be able to take on short term and seasonal jobs. You can also use that time to travel around the country before making your way back to the U.S. If you're happy to continue working as an au pair, it's possible to extend your au pair stay with a new family, or sometimes the same family, for an additional six months. There is no additional placement fee for this. Host families want to be sure that they're making a good choice, just as you want to be confident that you're joining a friendly home. Take some time to craft a thoughtful "Dear Host Family" letter and include a few friendly-looking photos in your application. Check everything over for spelling and grammar. For a lot of people, this can indicate whether you're willing to put time and thought into your responsibilities. A host family shouldn't just be a family you're okay living with; they should be people you feel like you can thrive with. 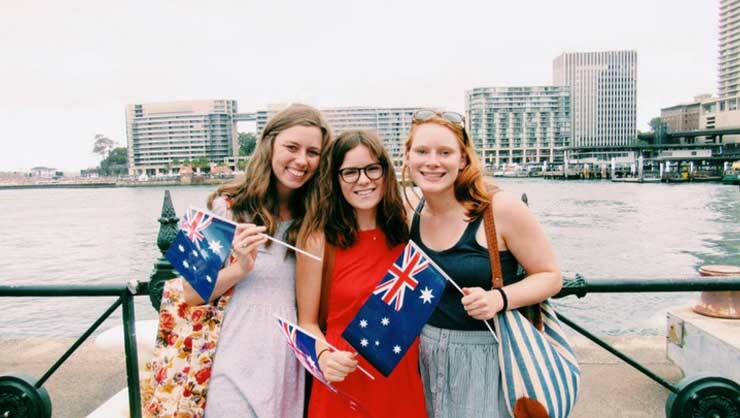 The InterExchange Au Pair Australia matching process uses an online platform where you'll be able to look through various families and ideally connect with several before making a decision. Keep in mind that host families may also be considering multiple options, so don't expect to match immediately. We will be there to help, but au pairs and families themselves are central to the matching process. Take your time and ask all the questions you need when you connect with a potential host family for a video chat. Once you're accepted to the program, you can refer to our set of questions to ask your potential family. The nice thing about au pairing in Australia is that everyone speaks English. That being said, there will still be some cultural aspects of living in Australia that you'll have to adjust to. You'll be living with Australian hosts, who will be welcoming you into their home and family. They may use some lingo you're not familiar with and the food they provide may be a bit different than what you're used to here. Don't be afraid to engage and join them for family meals and activities so you can soak up the full experience of living in Australia. And never be afraid to ask questions! Wondering if Au Pair Australia is a good fit for you? Just let us know! We're available for personal support leading up to your program and look forward to hearing from you. Placements are available throughout the year!